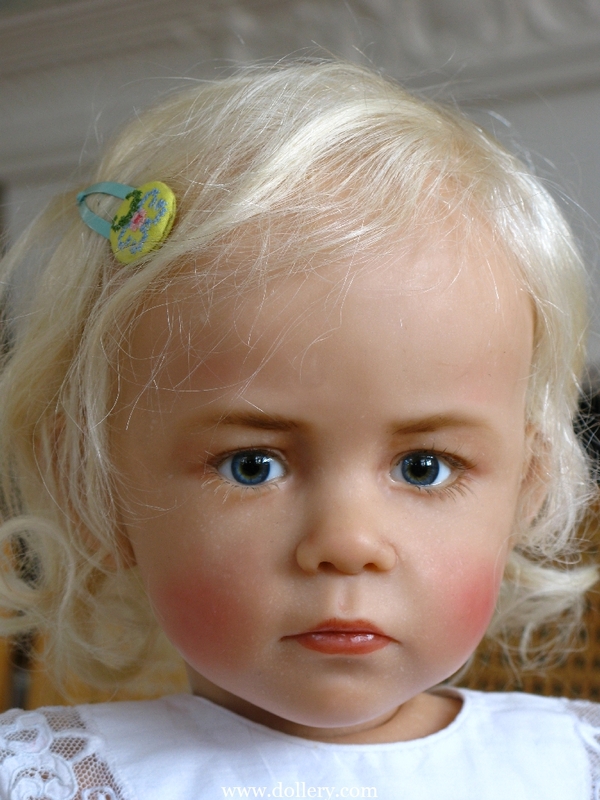 Many of you may have seen Sissel's new "Thea" baby featured in the recent Dollreader magazine. Un-fortunately, we did not acquire her but we did inquire about her and Sissel said that she is one of a very few babies she has made (only four as of 2/08). She was the youngest of them. She made her for an exhibition in Norway and was sold there. She had sent photos to Dollreader and they were recently posted. In any event we are hoping to have Sissel create a baby for us in the future. 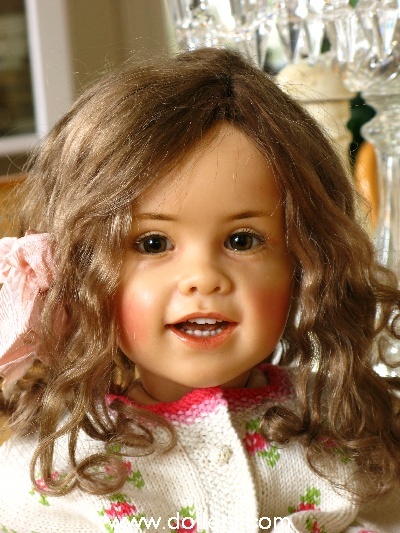 Sissel will be participating once again in our 29th annual doll show this Oct 2011. Be sure to email Kim at kmalone@dollery.com or call 781-447-6677 to get on our mailing list for her work for advance notification. Be sure to email kmalone@dollery.com to get on our mailing list for her work and also to receive our free full color catalogue highlighting the doll show. New catalog every August! Sissel Skille is an incredible artist. She was born in northern Norway. For the last 26 years she has lived in Trondheim, a city in mid Norway. 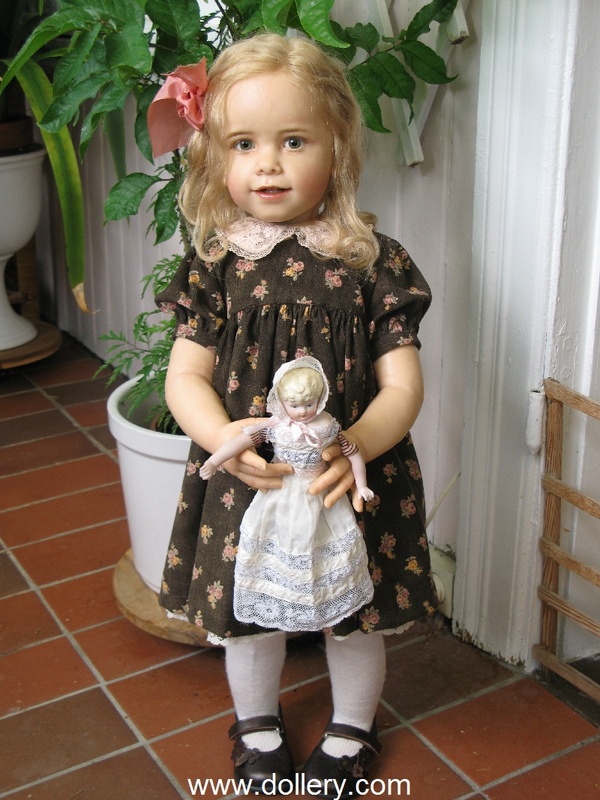 Sissel began making dolls in 1980. Like many artists, Sissel uses children to inspire her masterpieces. Sissel also sculpts for Goetz. Click Here to go to that page on our site. Email kmalone@dollery.com for more information and photos now. 1/K, 27 1/2" (69cm), Blond human hair and grey glass eyes. She comes with a little antique German-made porcelain Kling doll from the end of the 1800's, that she can hold in her hands. 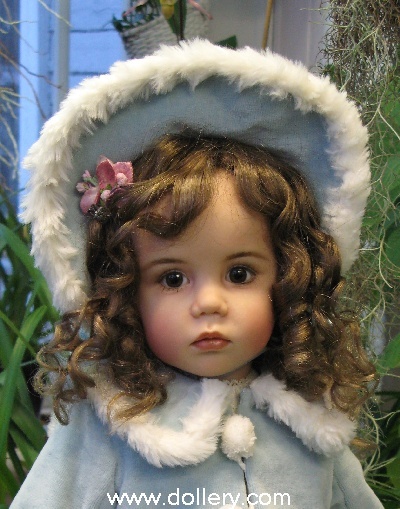 It is a little Parian doll with molded hair. One of a kind Cernit with cloth body. Blue Glass eyes and blond human hair. approximately 26" standing. Ane is wearing a traditional Norwegian sweater hand knit by Sissel herself! One of a Kind, Cernit Modelene with cloth body, 28 1/2"
Grey blue glass eyes, blond human hair hand knotted on transparent cap and hand styled by Sissel. 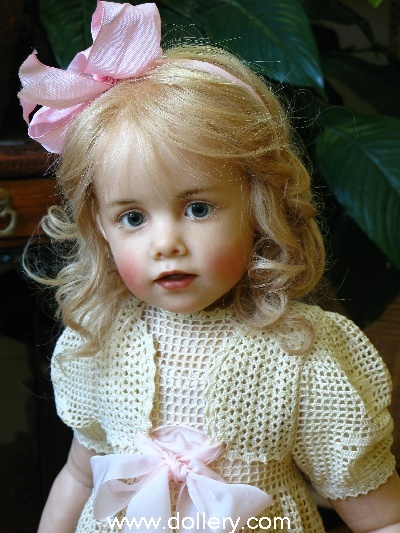 Elsa wears a beautiful cream hand crocheted dress with pink underwear, ribbons and shoes. Sorry our baby by Sissel was pre-ordered and sold. Photo not available yet. 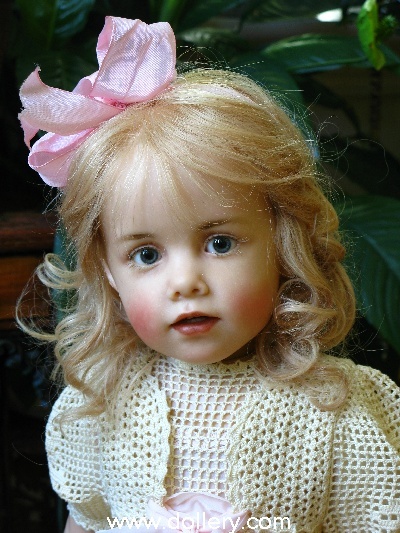 If interested in Sissel's baby dolls, please contact kmalone@dollery.com Baby, $10,000.00 SOLD. Custom Orders being taken now. Earliest delivery October 2010. Be sure to get on our Skille mailing list. One of a Kind, 28" Standing. Cernit (Modelene) with cloth body. Green glass eyes, auburn human hair hand dyed by artist. Veronika wears a beautiful hand knit sweater and hat made especially for her by Sissel herself. 30", One of a kind, Cernit (Modelene) with cloth body. Brown glass eyes and brown human hair hand dyed by Sissel. 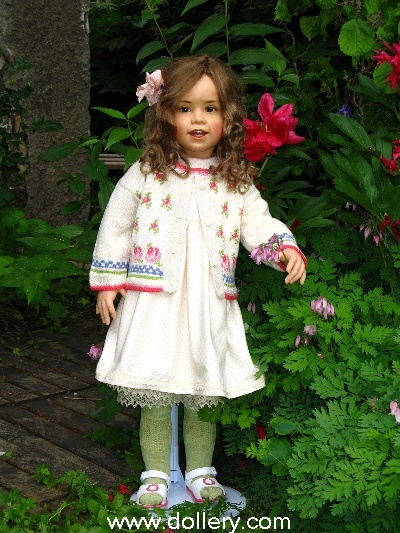 Charlotte wears a gorgeous hand knit sweater custom made by Sissel's ninety year old mother! The gorgeous rose pattern was especially designed for Charlotte to wear. 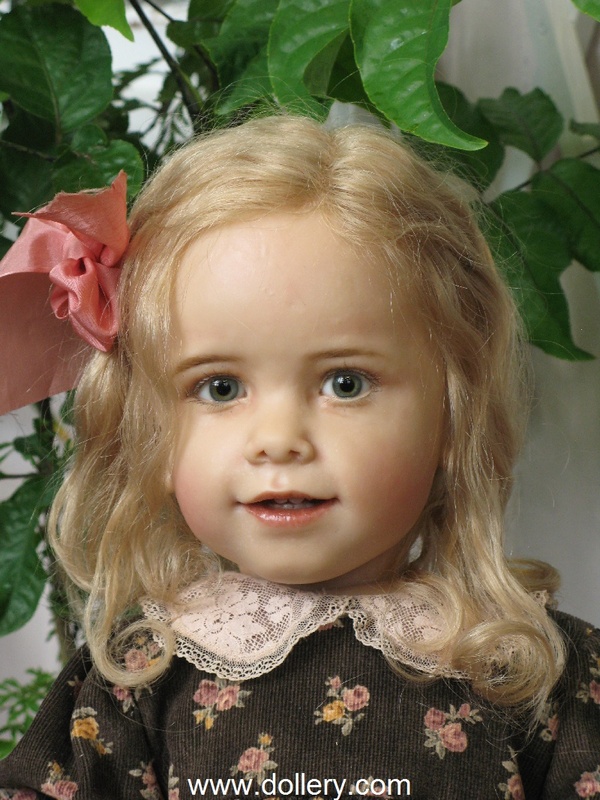 one of a kind, Cernit (Modelene) with Cloth body, brown glass eyes, brown human hair, hand dyed by Sissel. 27" standing. One of a Kind, Cernit, Blond hair, blue eyes. We fell in love! Email kmalone@dollery.com for more information. 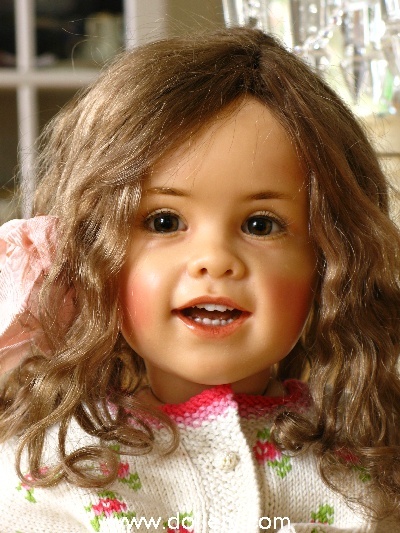 Irene - at our 2005 Doll Show (Sissel participated in our 2005 show by creating this beautiful Irene.